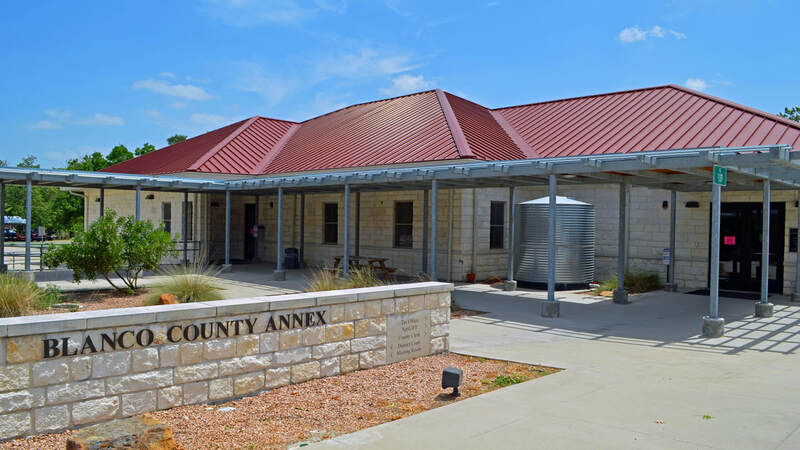 "Blanco County is in the Hill Country of south central Texas, bordered on the west by Gillespie County, on the north by Burnet and Llano counties, on the east by Hays County, and on the south by Kendall and Comal counties. 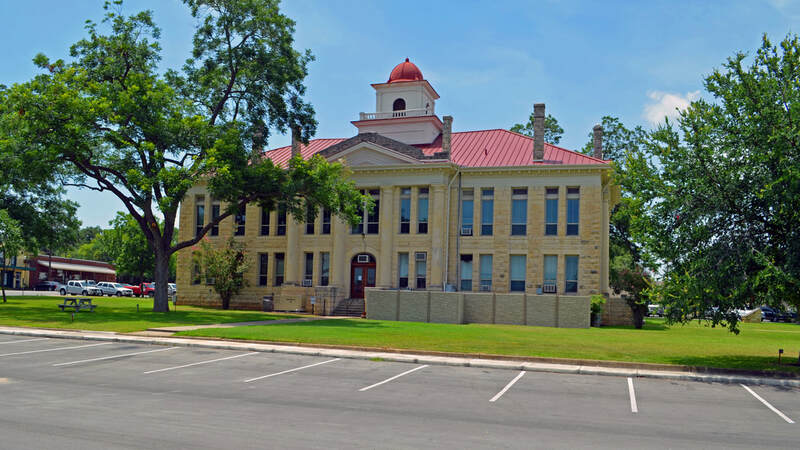 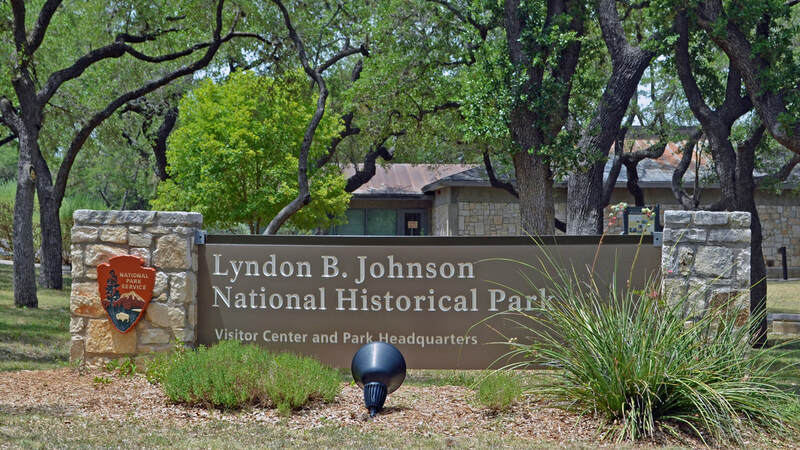 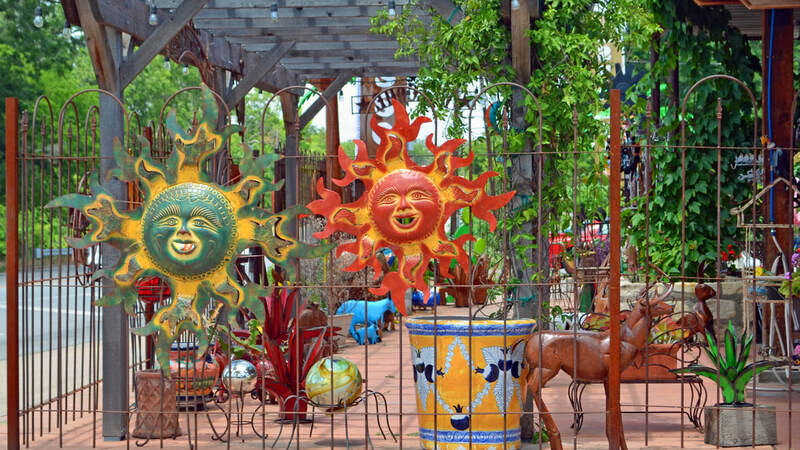 Johnson City, the county seat, is four miles north of the center of the county, forty miles west of Austin and sixty miles northwest of San Antonio. 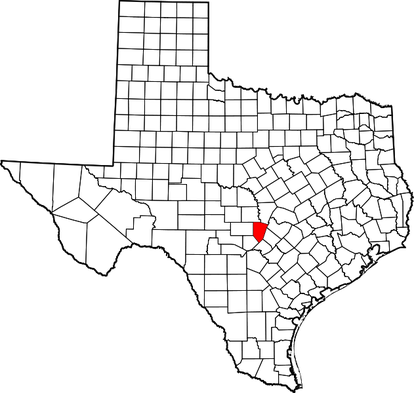 Blanco County comprises 714 square miles of the eastern edge of the Edwards Plateau and has an elevation range of 800 to 1,850 feet above sea level. 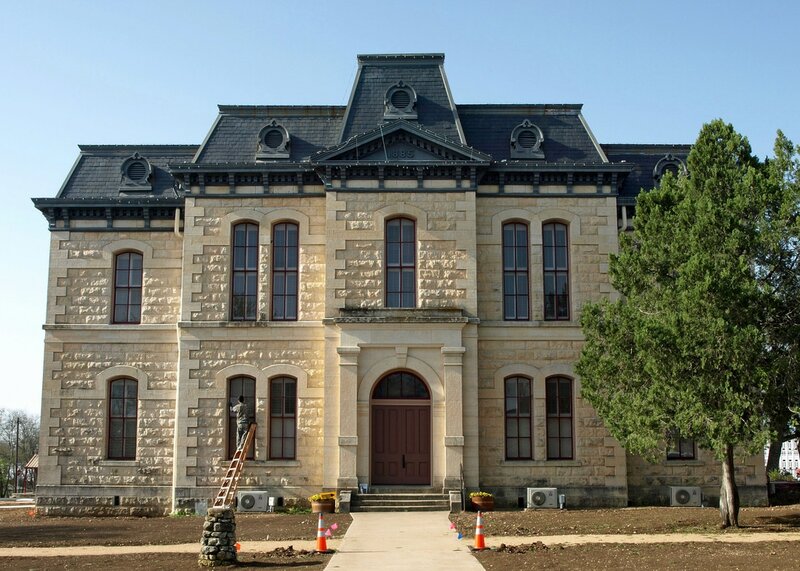 The terrain is generally hilly to mountainous, and along some streambeds the landscape has a "stairstep" appearance due to limestone benches and steep slopes. 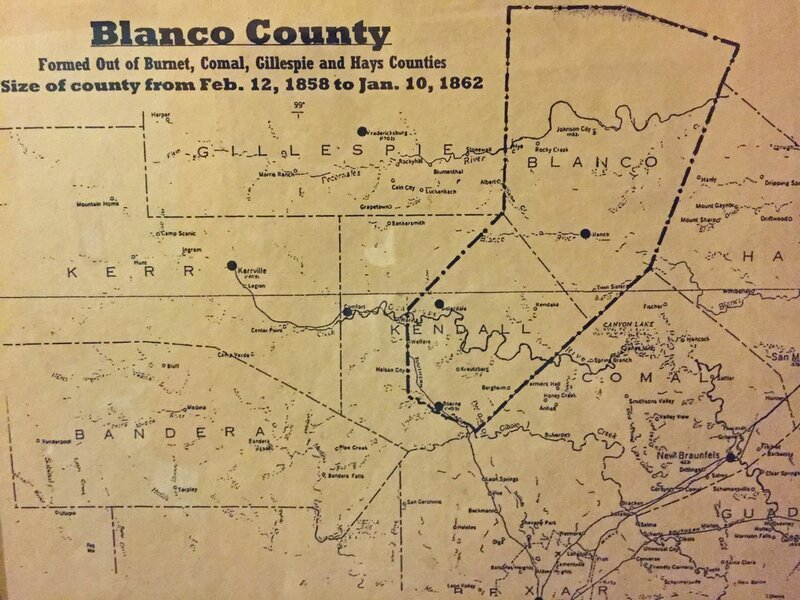 "Blanco County was formed on February 12, 1858, from parts of Comal, Hays, Burnet, and Gillespie counties and named for the Blanco River. 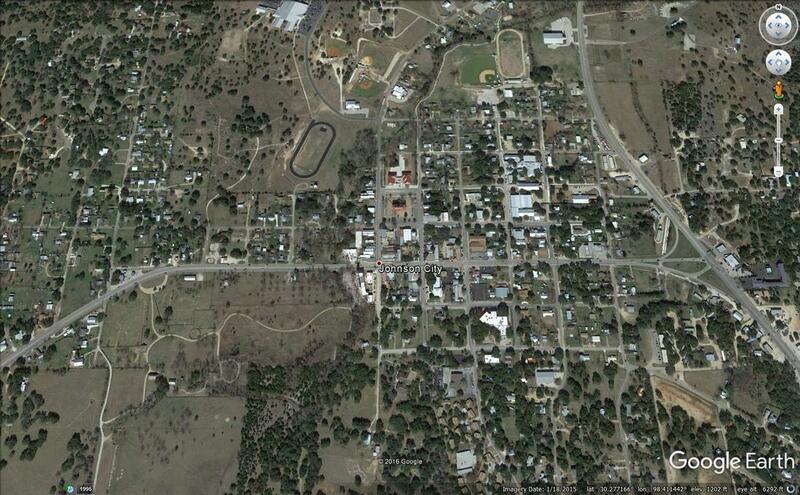 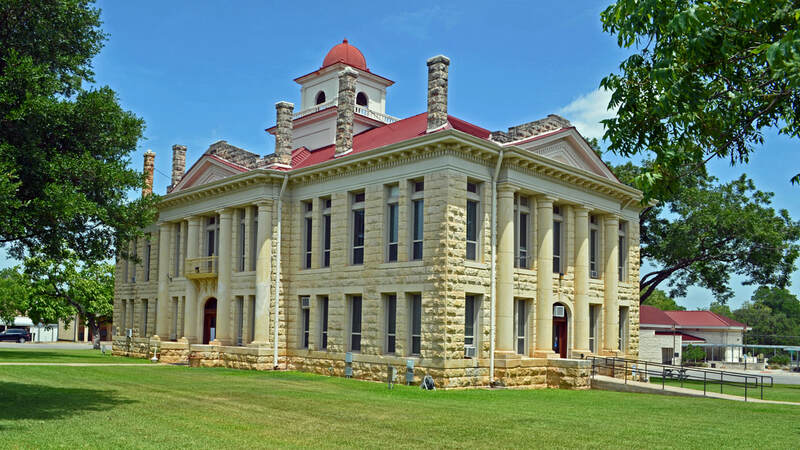 Some historians believe that Blanco County also acquired two small unattached pieces of Travis County. 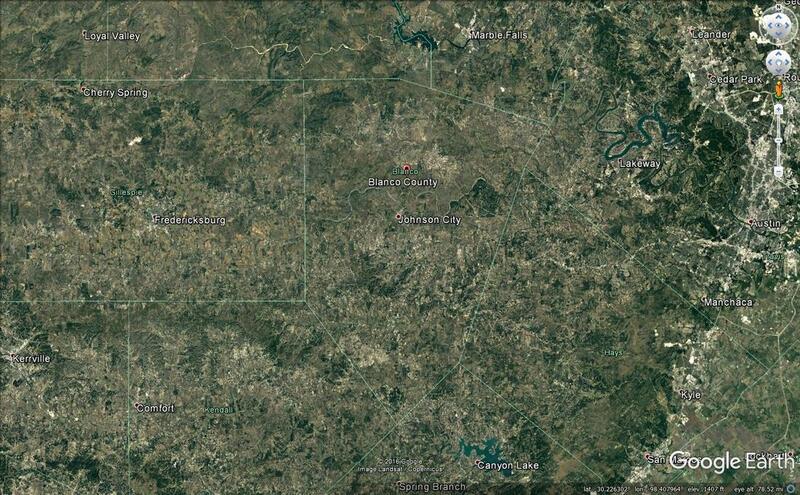 The total area of the new county was 1,043 square miles. 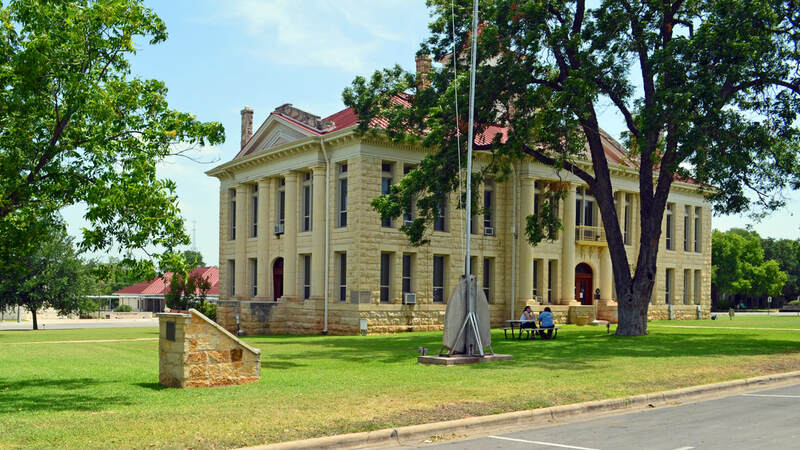 "During the Civil War the county lost a large part of the land on its southwestern border when the legislature established Kendall County in 1862. 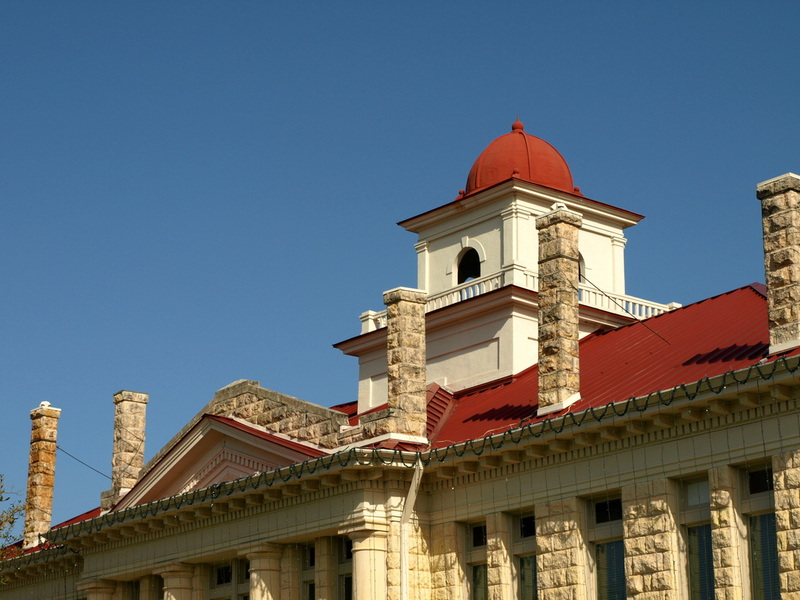 The legislature compensated Blanco County by giving it additional parts of Hays and Burnet counties. 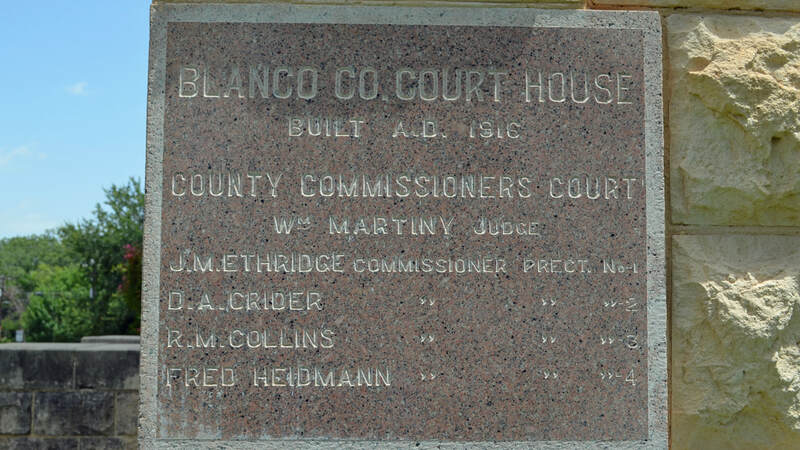 When all the changes were complete, Blanco County comprised the 714 square miles of land it occupies today, but the town of Blanco was no longer at its geographical center. 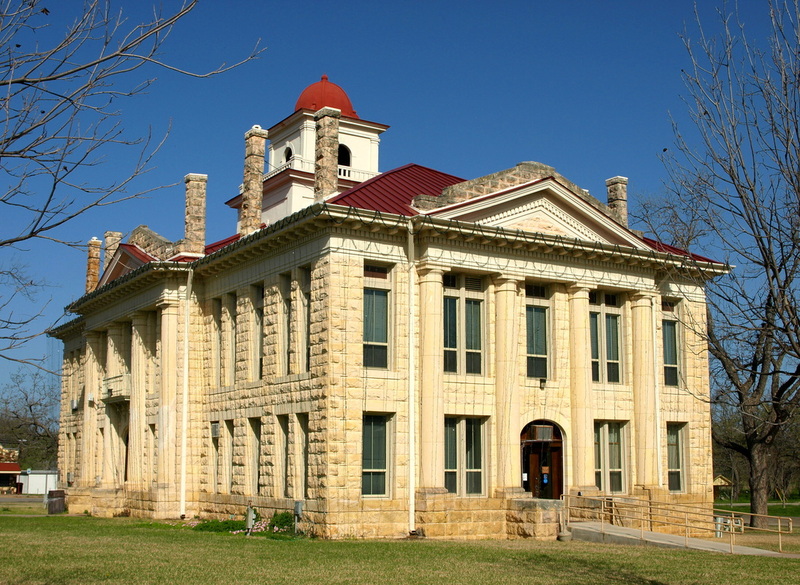 By 1875 James Polk Johnson and other settlers on the Pedernales River in the northern part of the county began to agitate for a new county seat. 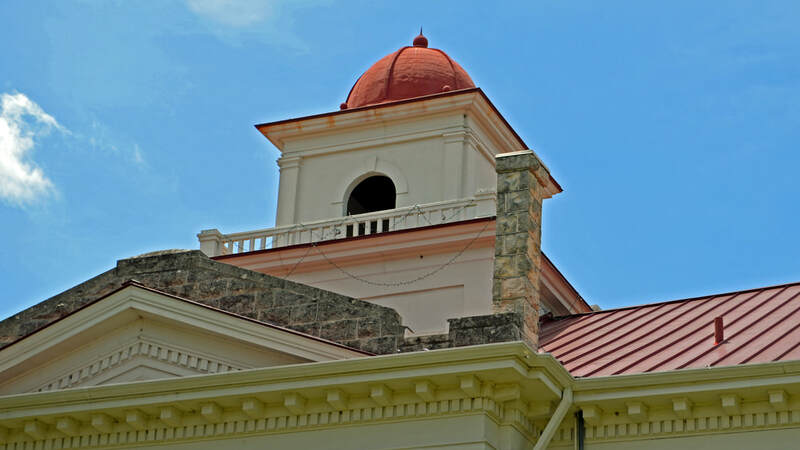 For the next fifteen years Johnson and his friends petitioned that the county seat be moved; in 1879 Johnson City was founded near the new geographical center of the county in hopes that it would become the new county seat. 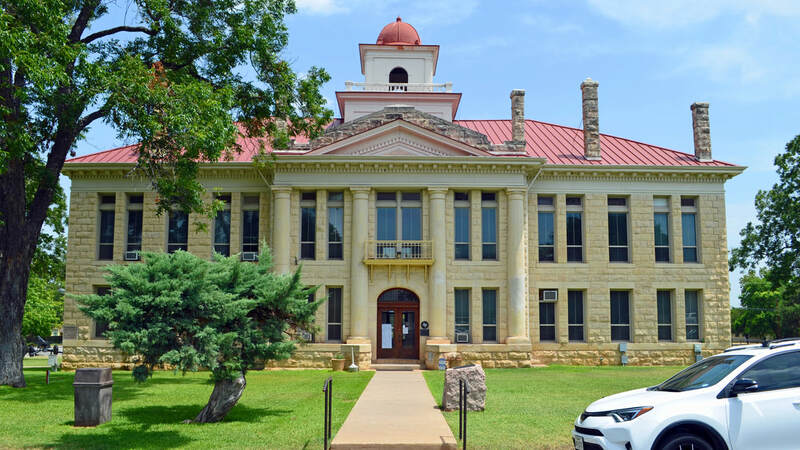 After a number of hotly contested elections the people of the north were successful, and in 1891 Johnson City became the seat of county government." 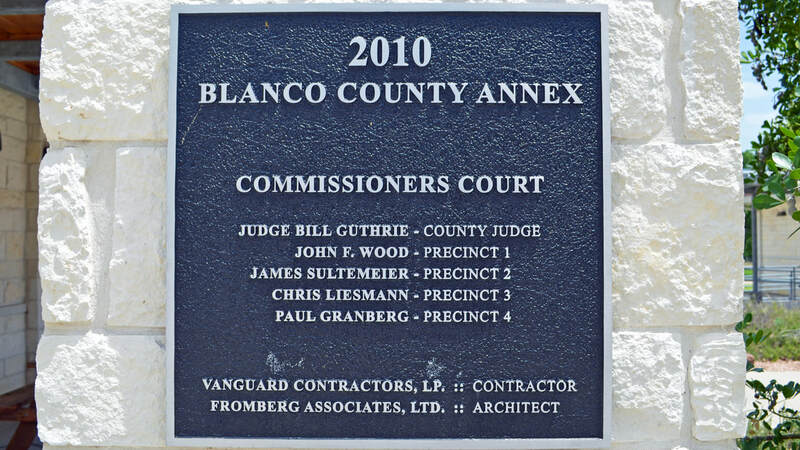 Mary H. Ogilvie and John Leffler, "BLANCO COUNTY," Handbook of Texas Online I visited Blanco County and photographed the courthouse in Blanco and the courthouse in Johnson City on March 27, 2010 and June 30, 2018. 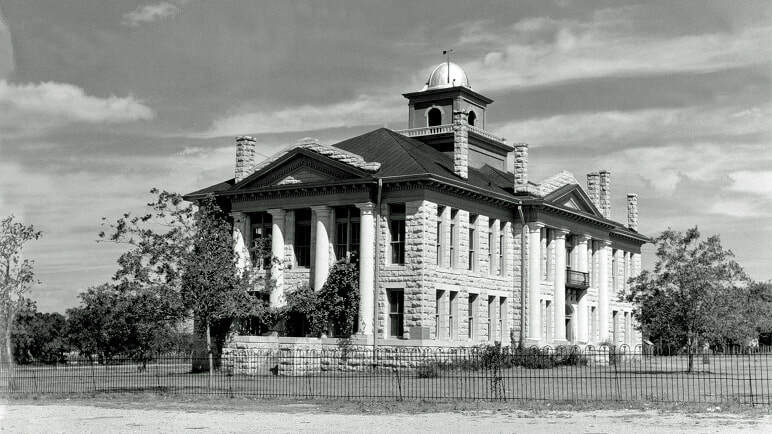 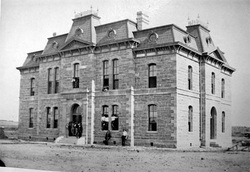 "[This courthouse is similar] to Sutton, Concho, plans originated with (of San Antonio) but were used without permission by the contractor J. H. Walker for the Tom Green County Courthouse - The supervising architect for the Tom Green County Courthouse was ﻿Oscar Ruffini﻿ who sent a copy of the plans and a photo of the courthouse to his brother Frederick Ernst Ruffini (of Austin) who in turn modified them for the Blanco County Courthouse and for contractor Captain James B. Smith who then used the Ruffini design for the Callahan County Courthouse and the Concho County Courthouse. 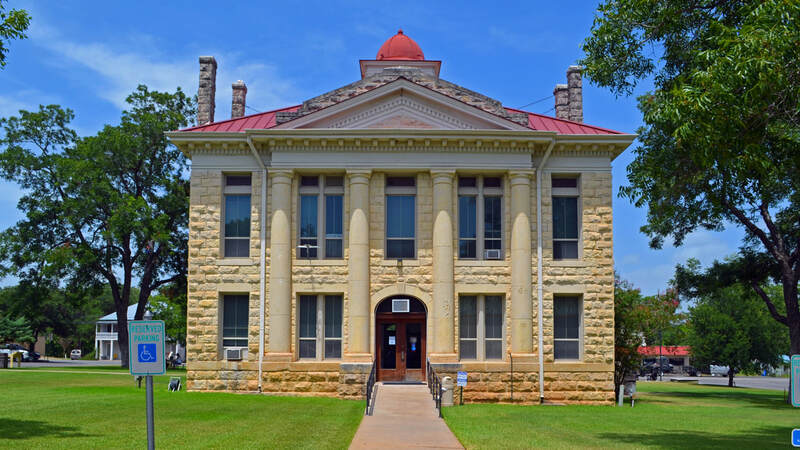 - Oscar Ruffini then reused the F. E. Ruffini plans for the Mills and Sutton County Courthouses." 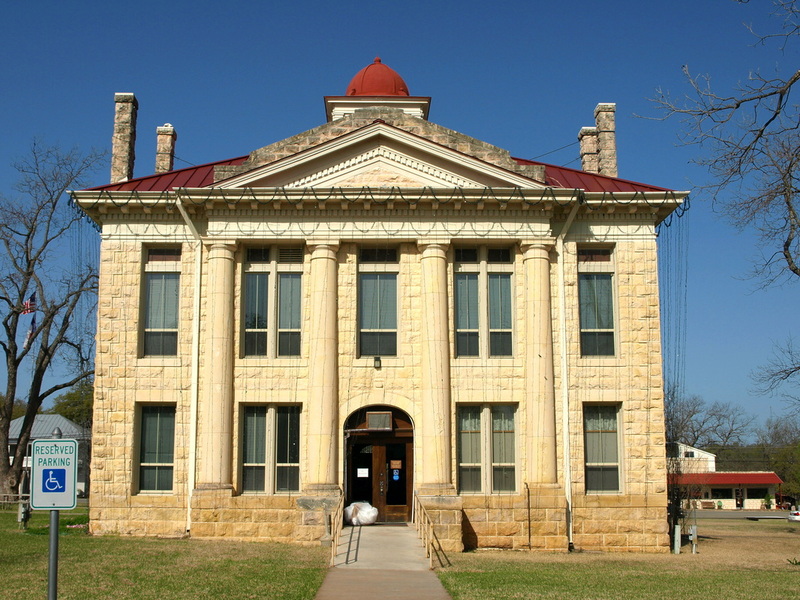 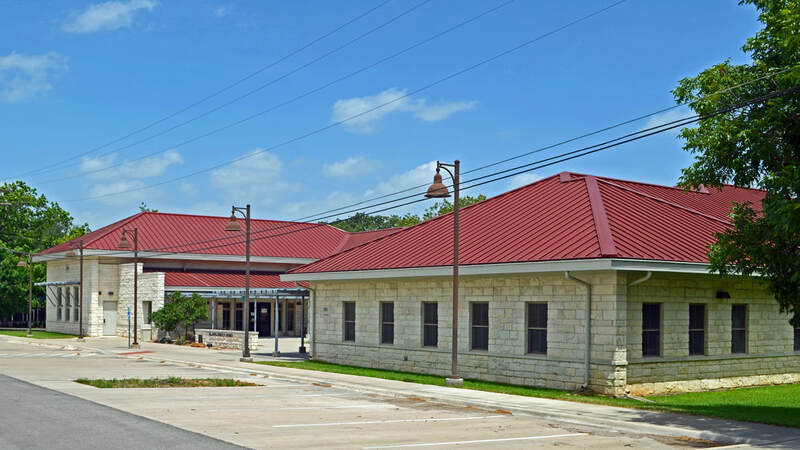 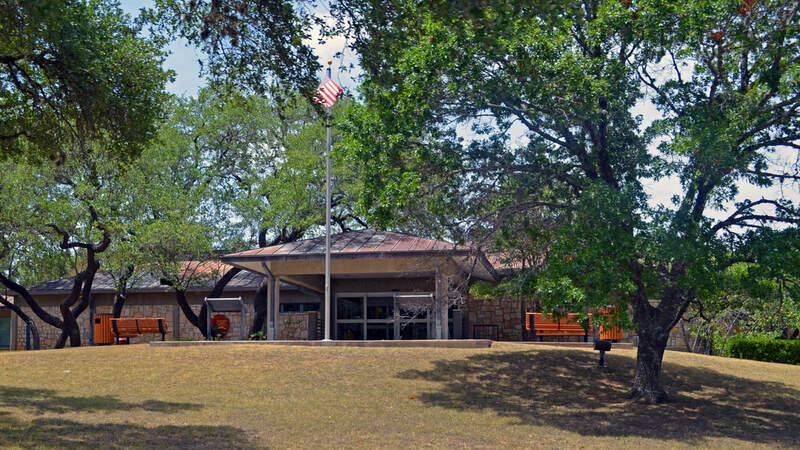 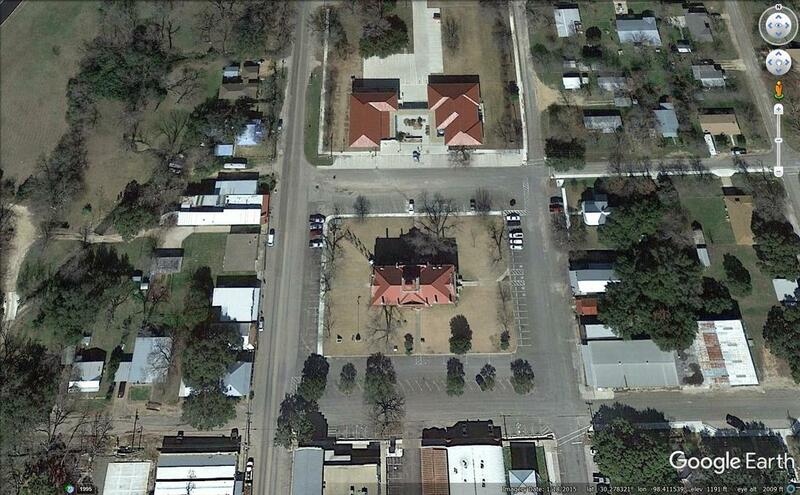 The former Blanco County courthouse in Blanco is now a community center. 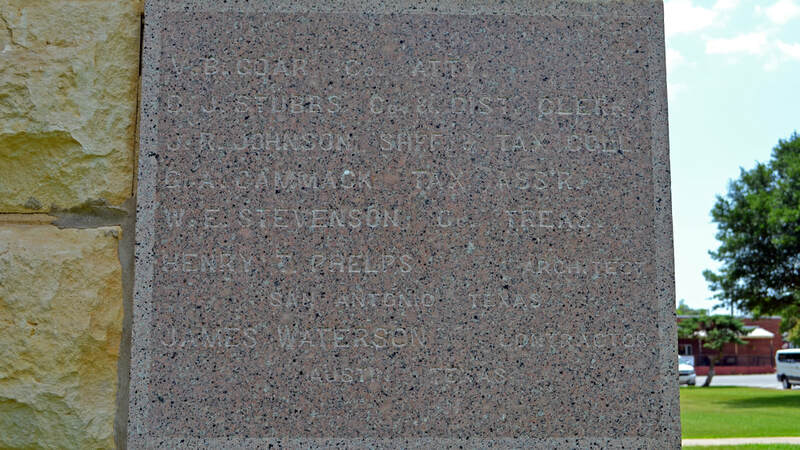 contractor/stonemason was James Waterston of Scotland. 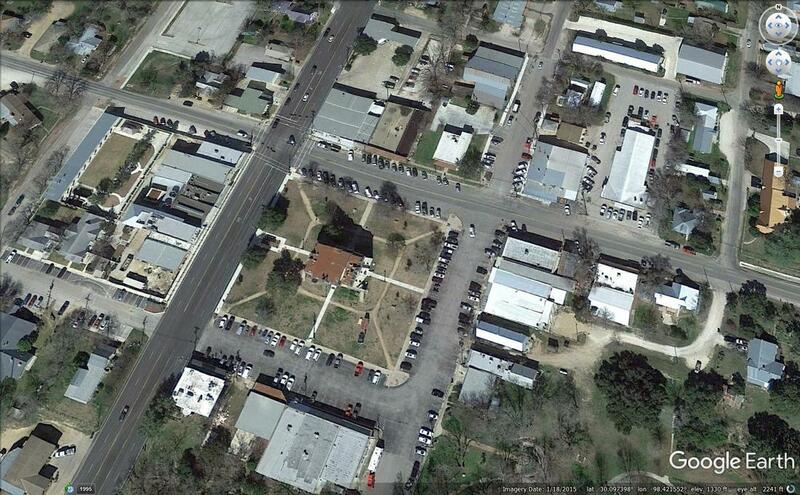 This photogaph was taken on March 27, 2010. 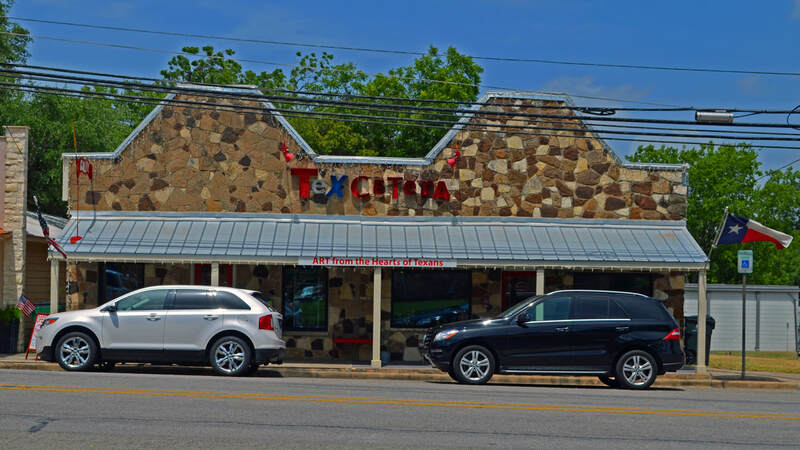 Apparently the holiday lighting stays in place year round. 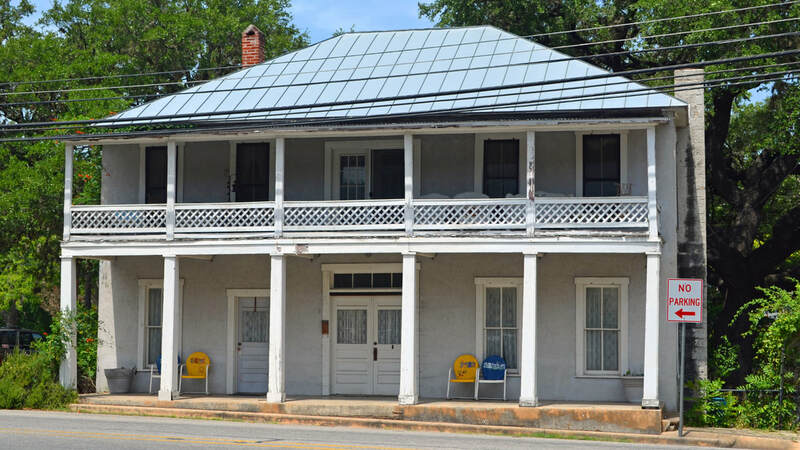 June 30, 2018: no holiday lighting!